Details are still being added but here are the main special event announcements for the 2017 Busch Gardens Williamsburg season. Concerts are back this year with the Summer Nights Concert Series featuring popular rock, pop, country and contemporary Christian performers live under the stars in the Royal Palace Theatre. Confirmed acts so far include 38 Special, Josh Turner, MercyMe, and, with additional names to be announced. Concerts are free with park admission. Two special shows also join the Summer Nights line-up. Britmania™, a new musical revue featuring British hits from the 1960s to today, debuts June 30, and will be performed throughout the day in the Globe Theatre. Busch Gardens also will debut a new show in Das Festhaus® on March 31. The yet-to-be-named show will feature traditional German music and dances, with a modern twist, offering diners a fun Oktoberfest experience every day. Join “Jungle Jack” and some animal ambassadors at Busch Gardens® as they examine the importance of wildlife conservation. With his infectious energy, Jack Hanna makes animal and conservation education entertaining for the whole family. Jack will be in the Globe Theatre at 11:30 a.m. and 3:30 p.m. both days. Tickle those taste buds with culinary delights at Busch Gardens® Food & Wine Festival. Enjoy authentic tastes from around the world while strolling through the world’s most beautiful theme park. Individual tasting portions make exploring all that the Food and Wine Festival has to offer easy. The hardest decision might just be deciding what to eat, or drink, first. 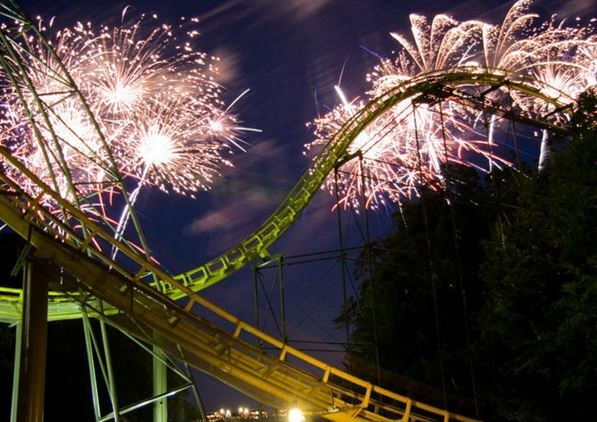 Celebrate Independence Day with two days of fireworks. The pyrotechnic displays will illuminate the skies. Guests can set up at their favorite spot in the park and watch a colorful display. More than 200 years of Oktoberfest traditions come to life this fall at Busch Gardens ® Bier Fest. Raise a glass to toast the end of summer with a variety of craft beers from around the globe. Sample traditional German food, listen to live music, and experience all this unique Bavarian celebration has to offer. Prost! Fill fall nights with fright at Busch Gardens® Howl-O-Scream®. At the stroke of 6 p.m. Busch Gardens becomes home to a host of creepy creatures that lie in wait for unsuspecting victims. Fear abounds in the Virginia theme park’s collection of haunted houses, Terror-tories™ and darkly entertaining live shows. With eight millions lights, one of the largest light displays in North America, Christmas shines brightest at Busch Gardens ® Christmas Town ™. 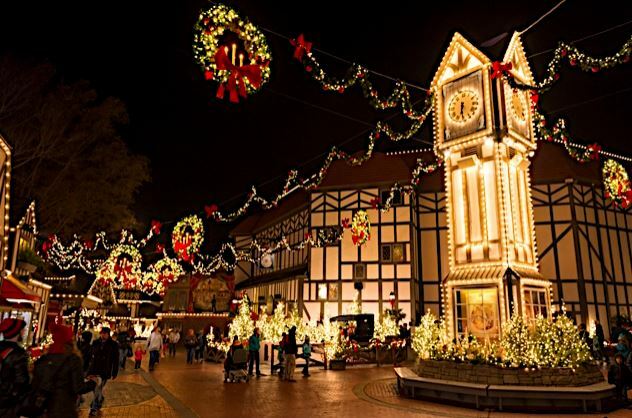 Festive food and drink, holiday shopping and heart-warming shows make the season come alive at Busch Gardens. This entry was posted in Kids, Outdoors, Seasonal Activities, Things to Do and tagged busch gardens, special events, Williamsburg. Bookmark the permalink.